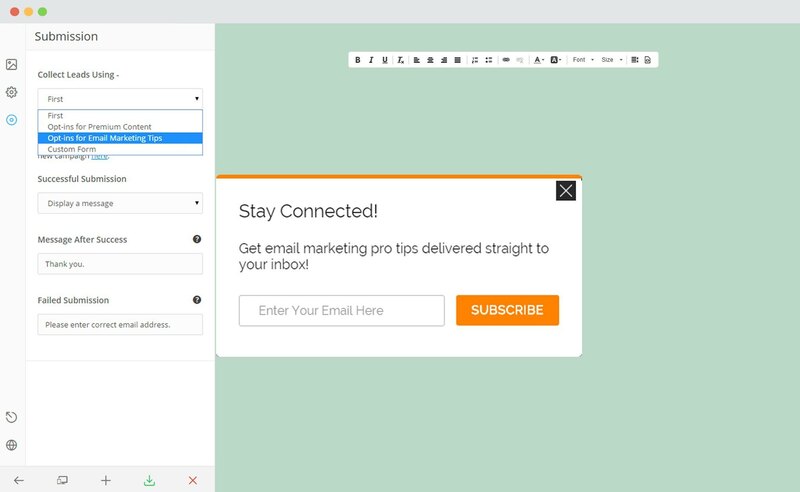 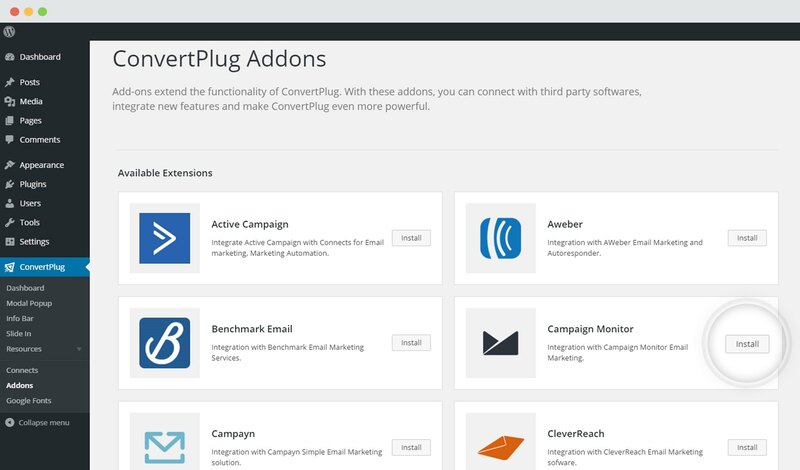 ConvertPlus can be integrated with Campaign Monitor to serve all your email marketing needs. 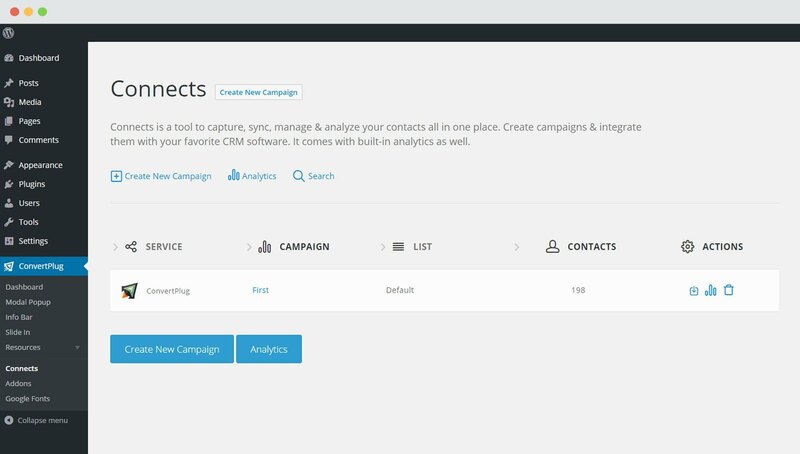 You can now capture leads using ConvertPlus and manage them using Campaign Monitor. 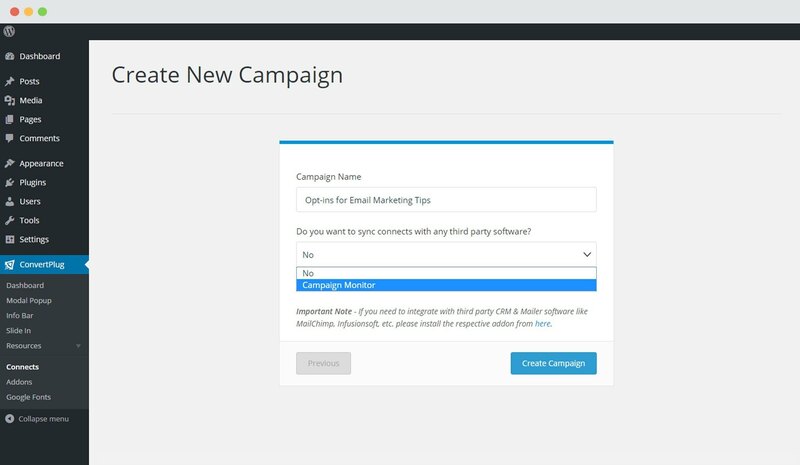 In order to integrate ConvertPlus with Campaign Monitor, you can follow the steps mentioned below. 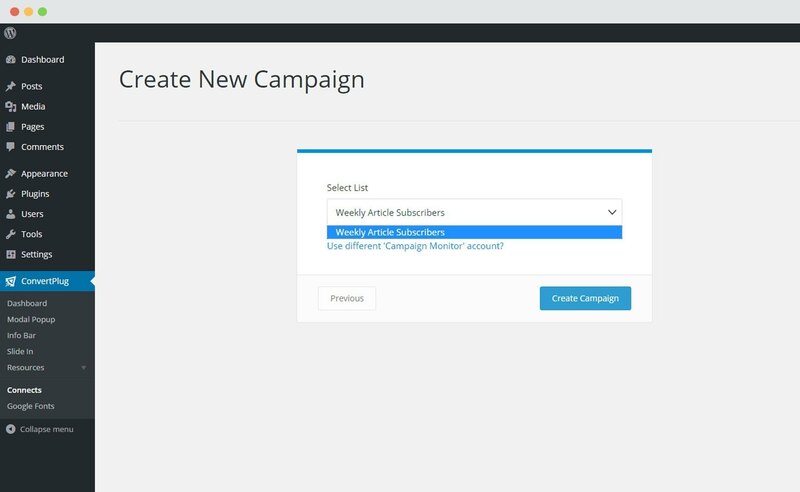 Select Campaign Monitor from the drop down below. For the integration with Campaign Monitor, you need the Client ID and the Campaign Monitor API key. 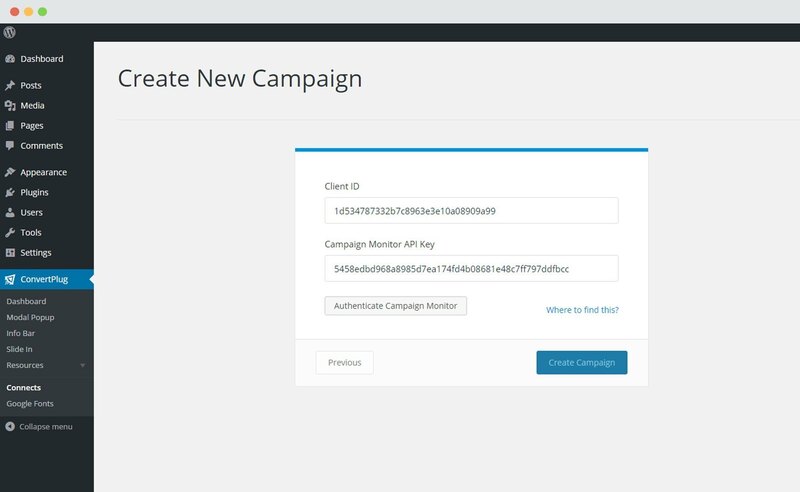 If you are a new user to campaign Monitor, you can first find your API Key by following the steps mentioned here. 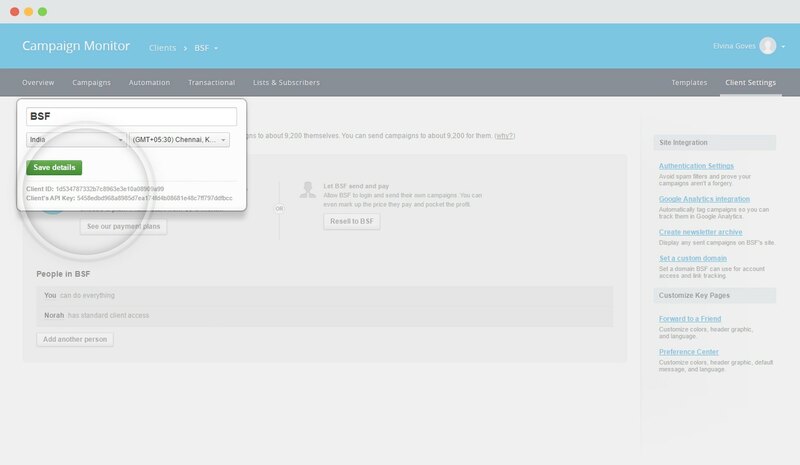 You can use this key as a username and leave the password box empty or enter anything on the following link. 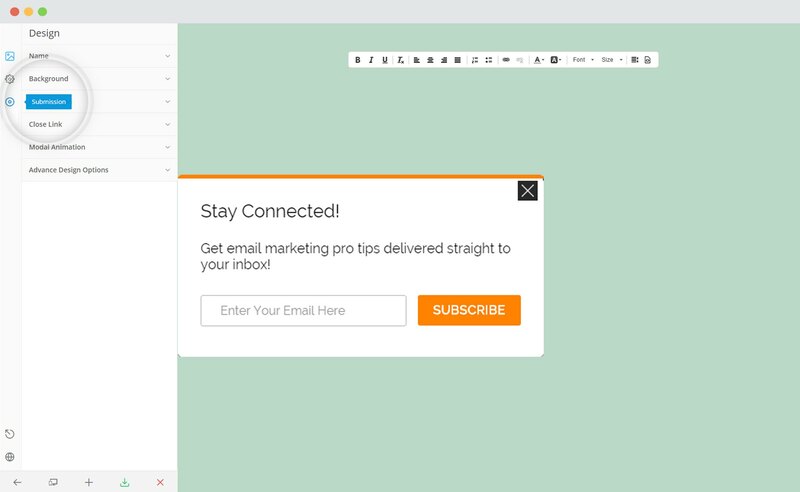 You will find all the client details here. Copy the Client ID and the Campaign Monitor API Key and paste it in the connects interface.